AMW is a Rockwool type acoustic mineral wool produced to a specific density designed to more efficiently absorb noise within cavities of stud walls and floor joists to enhance the performance of any upgrade when used alongside other soundproofing products. It should always be used along with additional acoustic materials to obtain the best results when soundproofing a wall, floor or ceiling. 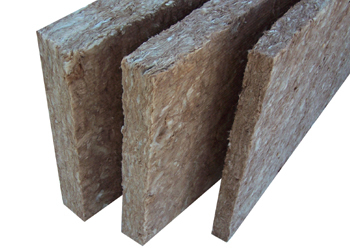 Acoustic mineral wool is not supplied in rolls such as loft insulation but in slabs that are cut to be a loose fit within the cavities. Offcuts can also be used resulting in minimum wastage. Easy to cut and fit with a sharp knife. Produced using 22% recycled materials. Essential part of any soundproofing system. Adds acoustic and thermal benefits. Better than using loft insulation as a cavity fill Acoustic Mineral Wool is produced to a specific density that gives maximum sound absorbing performance when used in the cavities of stud walls and timber joists as part of any soundproofing system or upgrade. Its random configuration of fibres gives it strength and also resists contamination by moisture. It can also be used to give one hour’s fire protection to rooms above floors. AMW when used along with other noise control products to soundproof a wall, floor or ceiling the product will help bring separating walls and floors into compliance with Approved Document E for the control of noise. This acoustic wool is non-flammable, with no adverse chemical content and resistant to chemical attack. It is rot proof, does not sustain vermin and is also fungi and mould resistant so is a cheap addition to any soundproofing upgrade. 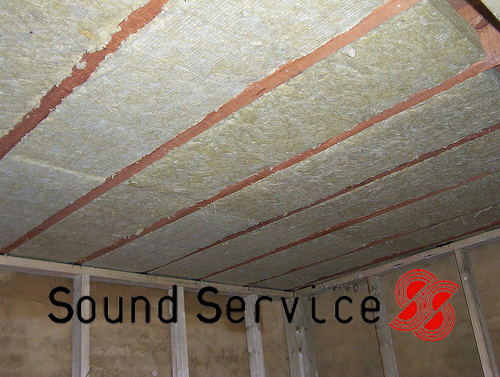 If you are looking for a more efficient acoustic infill for cavities then use our SoundBlocker Quilt which, although more expensive, gives a far better performance due to its sound barrier element which is sandwiched within it and although only nominally 52mm thick performs far better than the usual mineral wool more often used.